This episode of Sonic Talk is experimenting with a new, slightly different audio-only format. This episode, we discuss some news out of the Sonic panel from SXSW 2019. We also discuss (as this episode’s name implies) the latest leaks from the Sonic movie! Download it here. You can find our RSS here. The Sonic movie leaks just keep coming, with this latest one leaking some of the toy tie-ins being made by Jakks Pacific, the toy company SEGA signed a deal with last month. The toys themselves are not shown. Four toys are listed, including a Performance Sonic figure, a Performance Robotnik figure, a 13-inch talking Sonic figure, and perhaps the strangest sounding of the lot, an 8.5 inch “Baby Sonic” plush. These are each listed for $14.99, $18.99, $24.99, and $12.99 respectively, and are all scheduled to ship in August. You can find the listings for all four toys here. Will the Sonic movie have a baby Sonic? Are you ready for a figure of Jim Carrey dressed like Robotnik? Be sure to stay tuned to Sonic Stadium for more on the Sonic movie, including images of these toys. 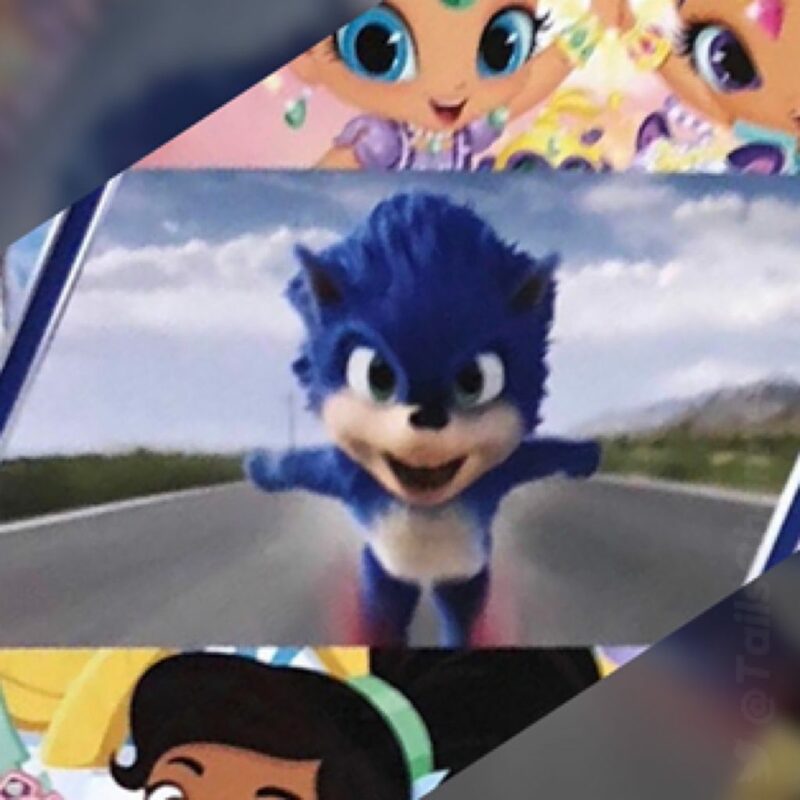 A newly leaked image on Twitter has given us our first confirmed in-movie look at Sonic from the upcoming live action movie. According to Tails Channel, which is the source of the image we are using, the image’s authenticity was confirmed by a Paramount employee. The image, posted below, shows Sonic alongside two Nick Jr. shows: Shimmer & Shine and Nella the Princess Knight. While the exact context of this picture is currently unknown, that it’s featured alongside two Nickelodeon shows does possibly suggest some connection between the movie and the network. Nickelodeon is hosting a “Kids Choice Awards” on March 23rd, which airs exactly a week after the Sonic SXSW panel. Alternatively, it could simply suggest what demographic the movie’s marketing will be targeting, or it could be completely irrelevant. It should be noted that Nickelodeon is a sister company to Paramount, the company distributing the Sonic movie. Given the sudden onslaught of leaks, we may be on the verge of getting a full blown trailer. Keep checking Sonic Stadium for the latest updates! The Sonic Movie Design Revealed! A series of images from a Sonic Movie style guide have been posted to the Resetera.com forum which appear to have originated from the website hcassociates.com which is a video game branding company. Continue reading The Sonic Movie Design Revealed! The list of big names working on the Sonic the Hedgehog movie, due for release this year, just got bigger! Dutch musician Tom Holkenborg (aka Junkie XL) is currently scoring the live action hybrid film. Eventually, this account will probably become a source of information for the movie. Until then…well, we got some funny tweets, I guess. 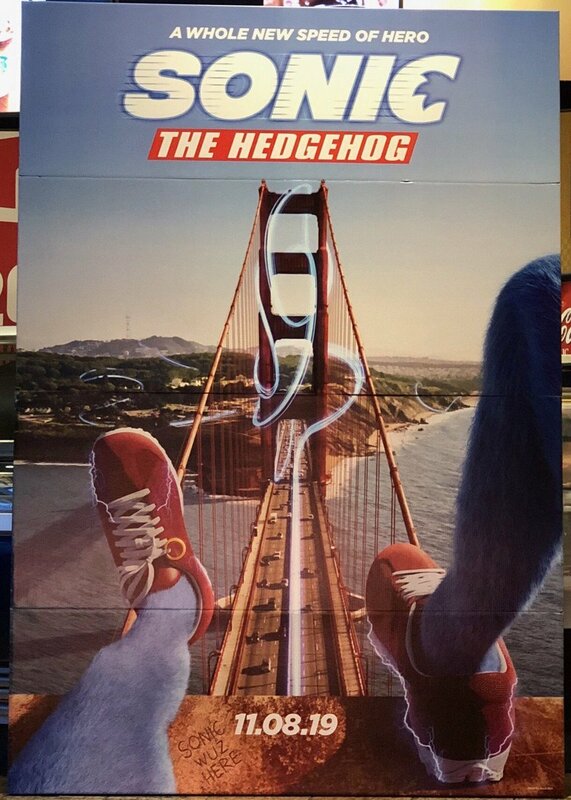 Well, a second photo has emerged of this poster at another theatre putting to rest claims that it was in fact a hoax, it is very real, so behold Sonic’s hairy legs! The Sonic movie releases in Winter 2019. Sonic Movie Teaser Shown To CCXP In Brazil! According to reports coming out of São Paulo, their fifth Annual comic con held a big surprise for people who attended Paramount Pictures’ presentation. The First Sonic Teaser Trailer was shown! The trailer is a teaser trailer in every sense of the word, it gives away absolutely nothing regarding the plot. But here are the details we could get. Teaser begins with a close up of Sonic’s face. He is textured and realistic, similar to Detective Pikachu. The character then runs and breaks the sound barrier. Full translation is as follows. Sonic’s preview made Cinemark’s audience agitated. The teaser began with a close close on the face of the hedgehog, which is at the same time as caricature, textured and realistic. Something in Detective Pikachu’s suit. After this we see a plane of the character running and breaking the sound barrier. In other news… the Sonic Twitter teased a ‘tiny gift’ was coming soon today. With the Sonic the Hedgehog Movie entering production, the first images from the set are beginning to emerge. Just Jared have posted images of James Marsden on the set of the Sonic Movie dressed as a police officer ‘Tom the Cop’. Over at this years Cinema Con, Paramount Pictures have revealed what appear to be placeholder logos for the new Sonic Movie. Twitter user Caleb Williams was at Paramount’s presentation and managed the first photo of what appears to be a placeholder logo. Shortly after a second logo started to appear on various websites including our own forums but the exact source of this hasn’t been identified yet. We’re expecting more Sonic movie news to come this year so keep checking for more updates as we get them. After several months of silence, it has been announced that the long-anticipated Hollywood Sonic the Hedgehog movie will be produced by Paramount Pictures, moving from previous producer Sony Pictures. Despite the move, many of the staff at Sony who were with the project are sticking with it still. Neal M. Moritz, Tim Miller and Toby Ascher are executive producing, Jeff Fowler is in the director’s seat (making this his directorial debut) and Dmitri Johnson and Dan Jevons are acting as co-producers. It’s still set to be a blend of live action and CG animation. As of writing, it is unknown whether the movie will still make its current 2019 release date or be pushed back to a later date. We will update you on more movie news as it comes to light. 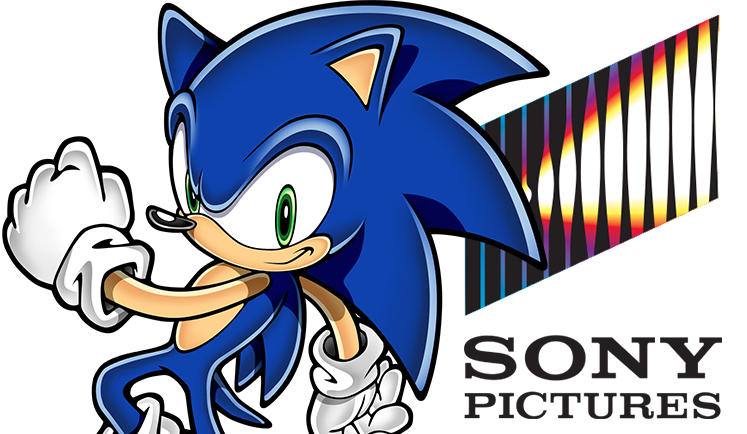 First confirmed in 2014, it was announced that Sony Pictures would collaborate with Sega Sammy and Marza Animation Planet to produce a CGI/live-action Sonic the Hedgehog movie, which is currently scheduled for a 2018 premiere. While very little is known about the movie, word dropped via the Hollywood Reporter that Deadpool director Tim Miller has signed on as its executive producer. Hajime Satomi, President and CEO of SEGA Sammy Holdings, may have just dropped word that Sony Pictures’ upcoming Sonic the Hedgehog movie has been pushed back to 2018. In an interview with The Worldfolio, Satomi speaks of the future entertainment prospects and strategies of the company, where he briefly touches upon the upcoming feature film. This is the first time there’s been official word on its progress since the reveal two years ago. 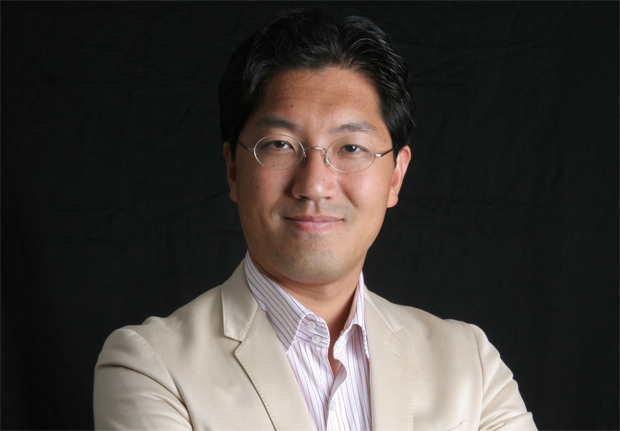 On the innovation angle, what kind of next-generation concepts are Sega Sammy working on? Announced in 2014, the movie is envisioned as a live action/animated hybrid, similar to other popular cinematic reimaginings of classic franchises such as “The Smurfs” or “Alvin and the Chipmunks”. Animation will be supplied by Marza Animation Planet, who have provided various CG opening for Sonic and other SEGA franchises in the past. So the writer of the new Sonic movie Mr Van Robichaux recently registered on The Sonic Stadium’s own forums and made a few comments regarding the Sonic movie being made by Sony pictures. Whilst he can’t go into specifics or details due to NDA’s, he did offer a few clues as to the direction it will be heading in. I can’t get into any specifics about the story of the film, but I can say that Boom is a completely separate project. As well as this small clue that the movie will not be based on the Sonic Boom continuity. There was also this comment regarding his selection for position as writer. One of the main reasons I was hired for the project was because they wanted someone young, who is a true fan of the character and games. If that doesn’t speak to their intentions, I don’t know what does. We’ll keep you updated with more news as we get it. Over five minutes of promotional footage provided by SEGA for Sonic Boom was uploaded, giving us full quality and sound. Hear the little snippets of dialogue between the characters as they rush through speedy areas and fight off enemies. Take a look at the Sonic Boom banner that was displayed proudly at the E3 convention centre. Hopefully it helped to drum up a little more interest for people to go try out the upcoming title. Sonic Jump Fever, a sequel to the original Sonic Jump title, is coming soon to iOS and Android devices. It will feature a more dynamic action and combos, and doesn’t yet have a release date for any region… what? What do you mean it’s already out in Canada? A trio of E3 trailers came out for the three areas of Sonic Boom. First is Rise of Lyric with some epic movie style narration, second came Shattered Crystal showing off the gameplay and character’s unique abilities, and finally the TV show which gives us an idea of the type of ham Eggman eats. Some new concept art showed up for Sonic Boom for both Rise of Lyric and Shattered Crystal, giving a look at some of the environments – like sprawlingly tall trees in a jungle/forest, and some enemy designs. And the big one – Sony Pictures confirmed that they were making a live action/CGI mix Sonic the Hedgehog movie! It won’t just be one though. It’ll be the beginning of an annual release movie franchise. TSS begin their coverage of E3 with our hands-on preview of Sonic Boom: Rise of Lyric, thanks to our own Jason Berry. Give it a read, it’s a good one that goes into plentiful of gameplay details and more. Also, get a good look at the giant range of toys launching alongside the Sonic Boom franchise. Plushes, action figures, and Sonic figures with articulated joints to make them look like they’re from The Exorcist. Gamespot had a preview of Sonic Boom: Rise of Lyric, and re-uploaded their footage clean. You can see a few more of the cutscenes, where you can see Sonic and Knuckles’ rivalry has been re-ignited, and Amy has become quite the confident member for the team. Take a look at the Sonic Boom blackboard at E3. The video gives a look at the whole thing which Tails makes notes upon, which also includes the team’s individual little cameos made in their own respective colours. We also got a hands on preview of Sonic Jump Fever. It’s definitely looking like a notable improvement on the original and it feels significantly less “empty” than it did before. As E3 draws to close, TSS has another hands on preview – this time, with the 3DS version of Sonic Boom. This one is far more akin to a traditional Sonic experience than it’s big brother on the Wii U, with exploration also being a key element. Finally, we have an interview with Sonic Boom producer Stephen Frost. Stephen goes into a lot of neat details about the game in our 16 minute interview, so sit down and enjoy it with a nice hot drink. I normally go for tea. And that’s all for this week – so much stuff happened! Phew. Tell us what you thought was the most exciting development of the week in the comments, and what you’re looking forward to most now you’ve seen more from Sonic Boom – the Wii U version, the 3DS version, or the TV show. Until next year and a new Sonic title, E3! It’s happening! 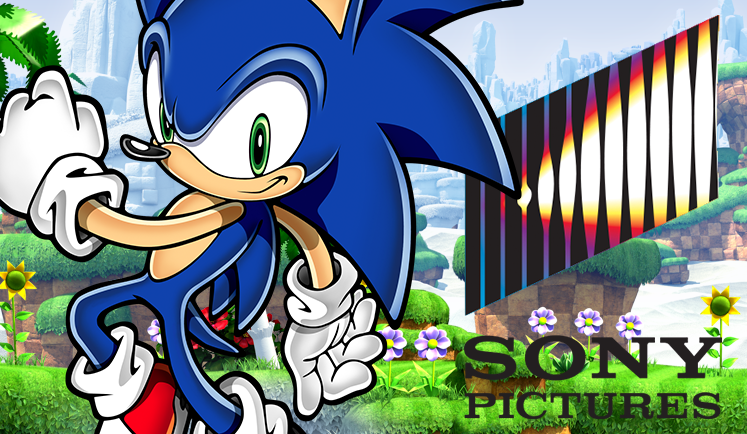 Sony Pictures have signed on to create a Sonic the Hedgehog movie. Written by Evan Susser, Van Robichaux, produced by Neal Moritz (21 Jump Street, Jack the Giant Slayer and much more) and animated by Marza Animation Planet (a division of SEGA Sammy), the Sonic feature is confirmed to be a CG/live action hybrid much like Sony’s “The Smurfs” franchise, and will star not just Sonic but other members of the the cast such as our very own Dr. Eggman. Apparently, this initial movie will be the first of a franchise of films which will release yearly. That’s right – a Sonic film every year. Sony and producer Neal Moritz are bringing the best-selling Sega video game Sonic the Hedgehog to the big screen. The studio is teaming with Marza Animation Planet, a CG animation film-production company based in Japan and a division of the Sega Sammy Group, to make a hybrid CG-animated/live-action feature. Upright Citizens Brigade alums Evan Susser and Van Robichaux are writing the screenplay, which will follow the antics of Sonic, the world’s fastest hedgehog. The film will also feature some of the franchise’s favorite characters including the evil Dr. Eggman. Sony-based Moritz (22 Jump Street) is producing through his Original Film banner alongside Marza’s Takeshi Ito and Mie Onishi. Toby Ascher is executive producing. For more than two decades, the billion-dollar Sonic franchise has been one of the world’s biggest gaming phenomena, with more than 140 million games sold. Sony’s hybrid animated/live-action Smurfs has spawned two films to date. Moritz is the producer behind the Fast & Furious franchise. He has a Goosebumps adaptation coming up for Sony on Aug. 7, 2015, starring Jack Black. Minghella and Andrea Giannetti will oversee the Sonic project for the studio. Are you looking forward to the Sonic the Hedgehog movie franchise? Tell us your thoughts in the comments below. We at TSS will keep you updated on any new developments, as always! UPDATE: Confirmed! Sonic movie is happening! 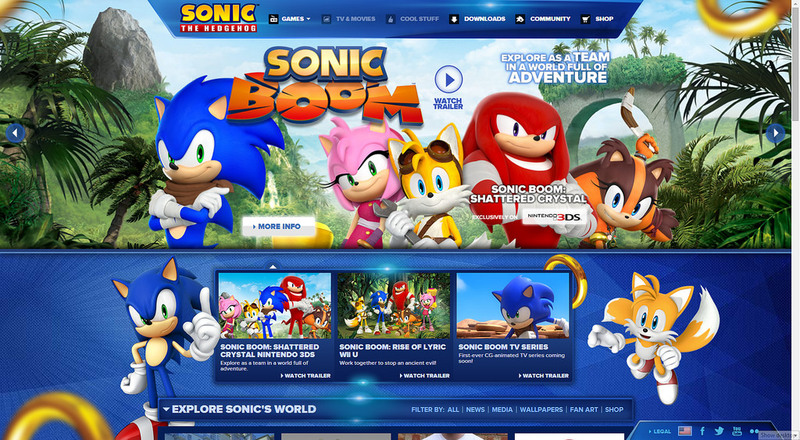 So the official website for Sonic the Hedgehog recently updated (most likely to fall in line with the new E3 Sonic Boom news). However, eagled eyed SSMB member Blue Blood spotted a rather curious addition to it. Now this could just be a play on words, or it might even be a few episodes of Boom spliced together to make a larger story. Though when it follows several big hints that a movie is in the works, this is likely to only add fuel to that. Comments again you my friends. Thanks to Blue Blood for the tip. Well I wasn’t expecting to see this today… Sony Pictures have registered 3 Sonic the Hedgehog movie domains. None of the sites are live, however according to the site ownership details, they were all registered by Sony Pictures on Tuesday 3rd December 2013. Now there have been a few hoaxes regarding trademark registrations lately, so we here at TSS did a little bit of digging. Here are the registration details for another Sony Pictures movie called Austenland. If you compare the details between that movie and these Sonic registrations, the details are virtually identical aside from the timestamp of the registration and obviously, Sonic’s name. At Sonic Boom 2013, Iizuka did hint that Sonic would see a big screen debute some day since pitches for a Sonic movie were not unusual. But before we all get too excited, this doesn’t mean a Sonic movie is definately coming, it might however mean that talks have started and this is a pre-emptive thing to protect the domain. We’ll keep watching this one and keep you updated when we get more information. Has Yuji Naka Confirmed A Sonic Movie in the Works? Both Sonic Wrecks and TSSZ News recently reported that Yuji Naka may have spilled the beans on an upcoming Sonic movie. On his latest Facebook and Twitter posts, he mentions visiting the Marza Animation Studios (Night of The Werehog, and most Sonic game CGI) and that they are in the process of making a Sonic movie. Whether it’s just more CGI for an upcoming Sonic Game or a full blown movie is yet to be known. Until we get more confirmation, treat this as rumor. Sonic Show Presents A Fan-Made Sonic Live Action Movie! Continue reading Sonic Show Presents A Fan-Made Sonic Live Action Movie! Egg Carrier is AwesomeFan-MadeJim SassSasso StudiosSonic MovieThe Sonic ShowTime StonesWesker's still alive?